Pakistan Observer is a highly reputed newspaper in Pakistan. They are playing active in promotion of Islamic Banking and Finance in Pakistan. Since last three consecutive years they are arranging Round Table Conference (RTC) enabling Islamic Bankers, Professionals and Regulators to sit under one roof to discuss the issues and problems faced by the industry and measures required to promote Islamic Banking. 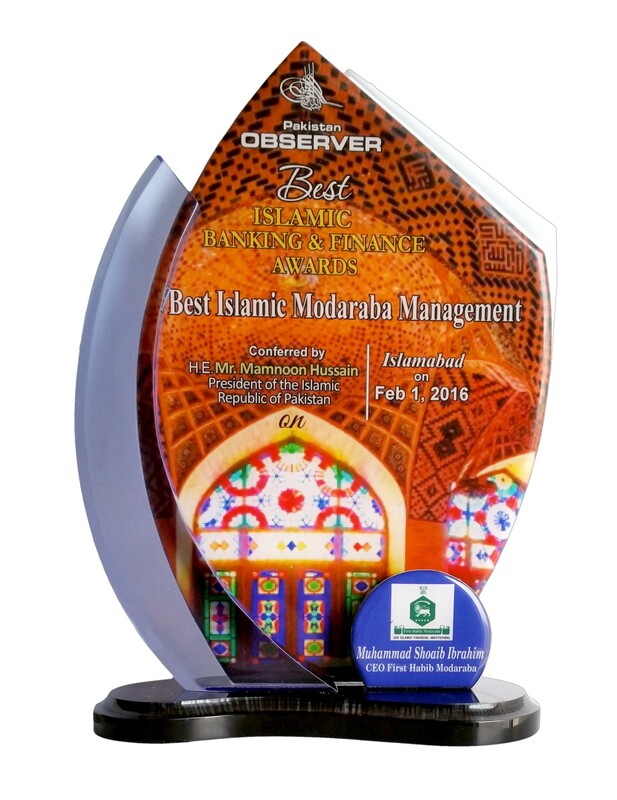 In January, 2016, Pakistan Observer has recognizes the contribution of First Habib Modaraba for promotion and Islamic Finance within the Non-Banking sector and gave award of “Best Modaraba Management Award” to FHM.